Pension Wise: what will the new freedoms mean for your clients? From April there will be telephone and face-to-face help available from the Pension Wise service. Currently people can use the website to check the value of their pension pot, understand what they can do with their pension pot and work out how much money they’ll have in their retirement. The guidance will cover the implications that each of the options will have on areas such as tax and means tested benefits. Pension Wise will only be providing guidance, people may still need to seek independent financial advice. To get value out of the guidance, users need to be aged 54 and a half and over and have a ‘Defined Contribution pension’ pot. A defined contribution pension is one where you build up a pot of money to use when you retire. 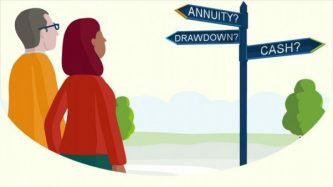 If the pension pot is invested and the investments effect how big your pot will be when you take it, this is called a defined contribution pension. Have a look at the Pension Wise website to find out more.